The "Palladium Pro" and "System Tool" are the latest versions of more fake anti-virus programs similar to "Security Tool". Both programs pretend to operate as a virus scan, but in effect, install a computer virus which takes over your system’s processes. The Palladium Pro virus works by launching a bogus Microsoft Security Essentials alerts and stating that the system requires a virus scan. Once the virus scan is initiated, Palladium Pro installs the malware onto your system. To remove the Palladium virus, you will need to terminate the application’s process and install Malwarebytes to remove the program. 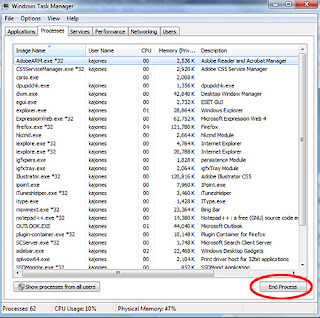 Start the Windows Task Manager by clicking Ctrl, Alt, Delete together. Locate the Palladium program named “palladium.exe”. Select the palladium.exe process and click End Process. This will suspend the Palladium Pro software. 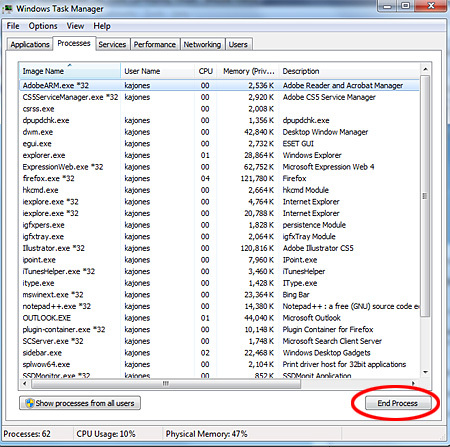 In the Windows Task Manager, go to File » New Task. Type in “explorer.exe” in the Open field, then click OK. This will open your Windows desktop. Follow the instructions to run a system scan and file removal. The System Tools program is associated with the same family of fake anti-virus programs as Security Tool. This software floods the system with false virus alerts and instructs the user to run the virus scan. Locate the program file. It is usually represented by a set of random characters followed by the ".exe" extension. If your computer prevents you from downloading the file, you can download Malwarebytes from another system and copy the file to your infected system to install. Or, you will need to update the Internet Options in Internet Explorer by modifying the default LAN settings to NOT use a proxy server for your LAN settings. Follow the instructions given by Malwarebytes to run a system scan and file removal. IMPORTANT: Never install any program or run a virus scan without verifying the source. If you suspect that your system is infected, use industry-approved programs such as ESET, McAfee, Symantec or Webroot. If you need further assistance, contact Micro Center Tech Support at www.mctsol.com. Microsoft Support Forum. Palladium Removal. Microsoft Support. Microsoft Windows Malicious Software Removal Tool.